Metrixa AdManager lets you manage your Facebook Ad Campaigns quickly, easily, and from anywhere. This video tutorial shows you how to create ad campaigns, ad sets and ads in Metrixa AdManager. A new blank campaign, ad set or ad will be created for you. Enter the settings in the Editing panel (bottom-middle). Remember to post your changes back to your live Facebook Ads account when finished. Hi, I'm Rohit from Metrixa. 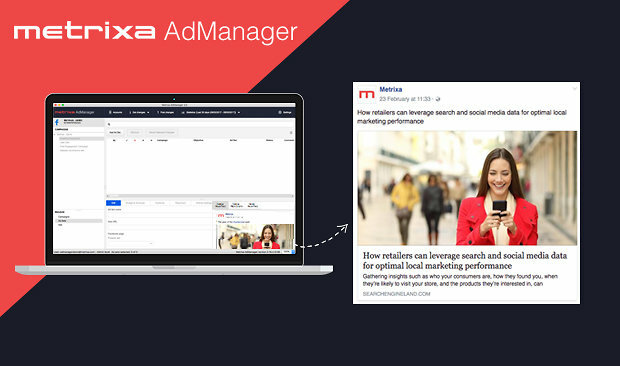 Metrixa AdManager is a powerful offline editing tool for Facebook; allowing you to manage your Facebook ad campaigns quickly and easily. In this tutorial, I'll show you how to create new ad campaigns, ad sets and ads through metrixa ad manager. Here's my ad manager window with my facebook account already loaded. If you need help doing this, checkout our tutorial on signing in and downloading your campaigns. Change your view to campaigns in the bottom left and you will see a list of campaigns in your main window. Add a new campaign by clicking the "Add Campaign" button at the top. You can now start filling in the details. Once that's done, we can repeat the same process for ad sets. Change your view to ad sets, then click "add ad set". Enter the settings for your ad set in the editing panel below. Now that we have a campaign and an ad set, we are ready to create an ad. For this example, we will create an image ad. Change your view to "Ads" then click "Add new Ad". Metrixa Ad Manager can source images from your asset library in facebook, or allow you to upload files from your desktop device. Craft your ad, and you're ready to publish your campaign. To do this, simply click "Post" at the top of your screen and your changes will be applied to your live Facebook Ads account. And that's all you need to do to create new campaigns ad sets and ads through metrixa Ad Manager. When you are happy with your changes, click post and it will send it straight to your Facebook account. And remember you are working off a local copy, which means you can make as many changes as you want, and only post it when you are completely happy. If you want to see more Metrixa AdManager tutorials, subscribe to our YouTube channel, or visit the resources section of our website. Message us on twitter @Metrixadigital, Facebook or LinkedIn with any comments, feedback and questions. Or let us know in the comments below. We'd love to hear from you!